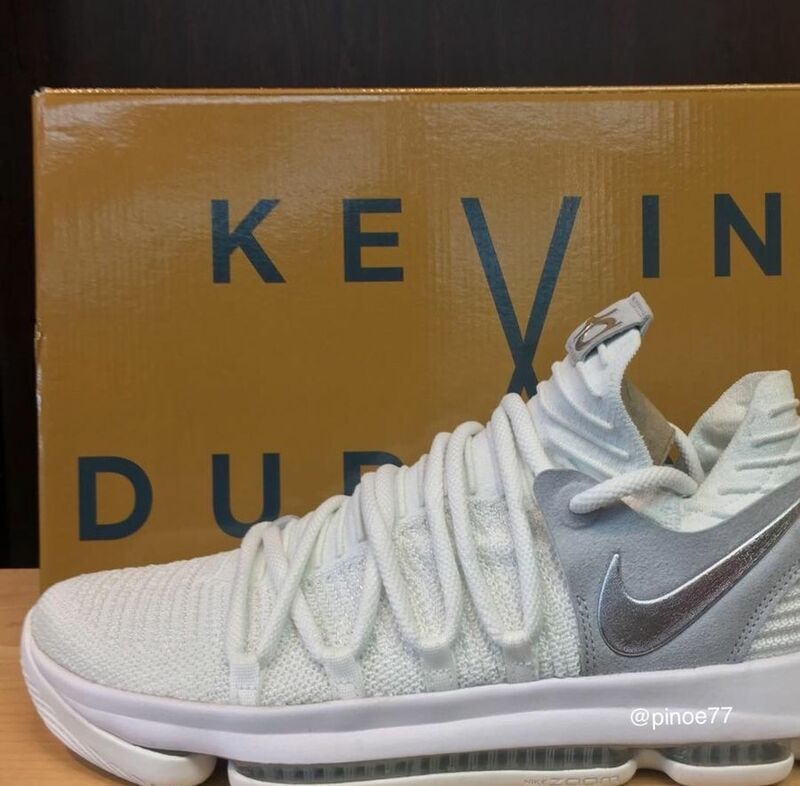 Kevin Durant’s 10th signature shoe, the Nike KD 10 has officially leaked. 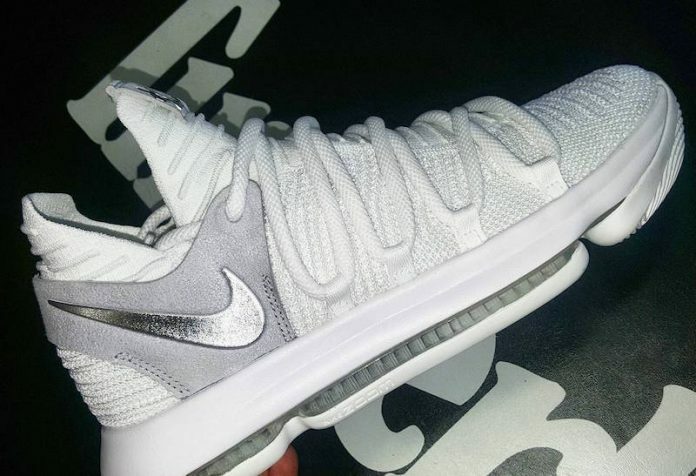 Today, we take our first look at the Nike KD10 that looks like a low top version of the Nike KD 9 Elite. With the low build, the shoe is perfect for a summer release. Dressed in a White, Metallic Silver and Pure Platinum color scheme. The Nike KD 10 features a White Nike Flyknit upper with a suede cage overlay. Metallic Sliver covers the Nike Swoosh and KD logos, while sitting atop a full-length Zoom Air unit for flexibility and comfort. Look for the Nike KD10 to release on June 1st, 2017 at select Nike Basketball retailers and Nike.com. The retail price tag is set at $150 USD. Let us know what you guys think of the KD10 in the comments section and stay tuned to Sneaker Bar for more updates and images as they develop.